December 1, 2009 / Recognising World AIDS Day 2009, and taking a look at a history of awareness campaigns through poster design. Today is World AIDS Day. The BBC News web site is carrying a narrated slideshow of HIV/AIDS awareness posters, whence I pilfered the image above. Two librarians from the Wellcome Library (London) assembled the collection and provide some history on the posters in the accompanying audio track. For those in the U.S., aids.gov has much info about “Facing AIDS” and how to show your support. Check it out and spread the word, yo. 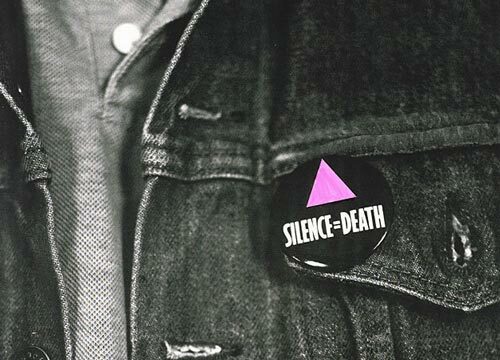 April 24, 2013: Silence Equals Death by Gran Fury, part of a set on Flickr (via Joe Clark).